Boris Johnson claims EU is tool to maintain 'unbeatable German advantage' over continent. 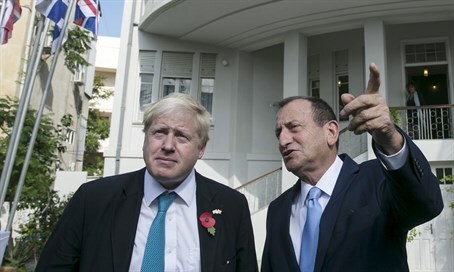 Former London Mayor and ardent “Brexit” supporter Boris Johnson ratcheted up his rhetoric against the European Union over the weekend, comparing the central European government to efforts by Napoleon Bonaparte and Adolf Hitler to create a “megastate”. A referendum on the proposed “Brexit” – short for British exit from European Union – is scheduled for June. Both supporters of the Brexit and those wishing to remain are making a final push to garner support amid polling showing voters are evenly divided between the two sides. The referendum, which touches upon hot-button issues from immigration and multiculturalism to globalism and economic growth, has divided political allies, pitting party members against one another. Johnson, a prominent figure within the Conservative Party, has been vociferously opposed by Prime Minister David Cameron, a fellow Tory. Speaking to the Telegraph, Johnson invoked Winston Churchill’s wartime rhetoric, calling upon the British people to be “the heroes of Europe”, leading by example with a departure from the EU. Johnson railed against the EU, calling it yet another failed attempt to establish a European superstate, drawing comparisons to ancient Rome, France under the dictatorship of Napoleon, and Nazi Germany. Taking the Nazi comparison a step further, Johnson suggested that the European Union’s currency, the Euro – which the UK has not adopted – was a tool for advancing German control over the continent.